﻿ Balayong Pension, Palawan | FROM $15 - SAVE ON AGODA! "Staff was very professional and friendly." Have a question for Balayong Pension? 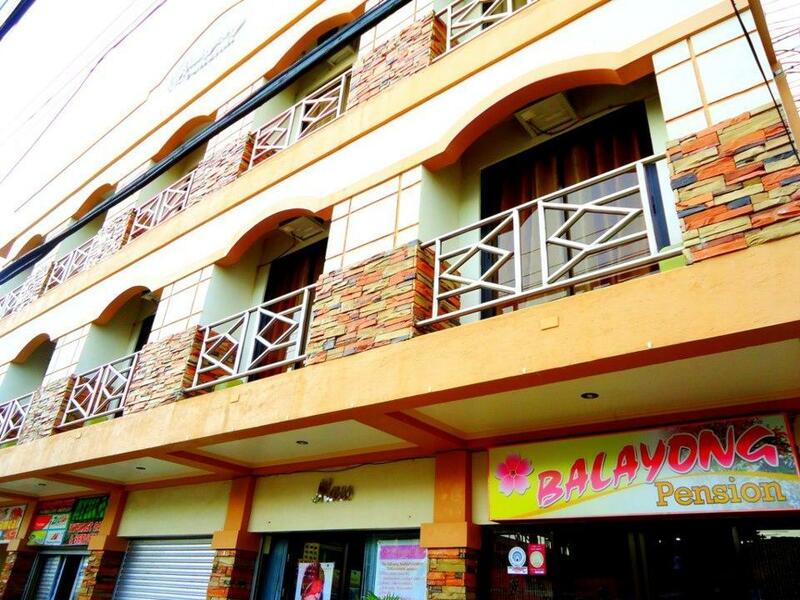 Balayong Pension, located in Puerto Princesa, Palawan, is a popular choice for travelers. The city center is merely 0.5 Km away and the airport can be reached within 15 minutes. Also within easy reach are Puerto Princesa City Baywalk Park, Immaculate Conception Cathedral, Plaza Cuartel Park. 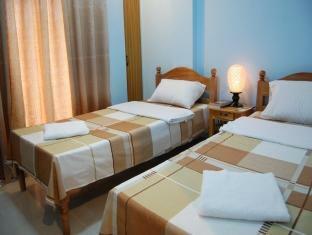 The facilities and services provided by Balayong Pension ensure a pleasant stay for guests. Top features of the hotel include 24-hour room service, free Wi-Fi in all rooms, Wi-Fi in public areas, valet parking, car park. Guests can choose from 8 rooms, all of which exude an atmosphere of total peace and harmony. Whether you're a fitness enthusiast or are just looking for a way to unwind after a hard day, you will be entertained by top-class recreational facilities such as spa, massage. 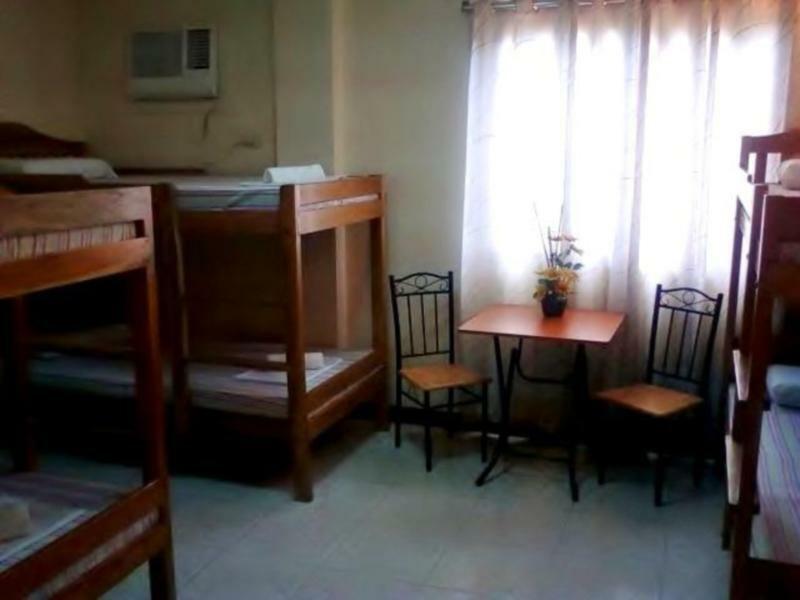 Whatever your purpose of visit, Balayong Pension is an excellent choice for your stay in Palawan. Location is great and stuff helpful. They helped us to book Underground river tour for next day even it was very late in the night. Breakfast was good. 300 CAN $ disappeared from my backpack left in hotel room when I was outside in town. Actually the place looks old, but the benefits of it are a lot ! Nearby Baywalk in less than 300meters only and you can ride 1 tricycle anywhere you want to go in the city! Tricycle is worth 10 pesos only! The breakfast was really good! They also value their clients or guests! they are very friendly ! They even have a security guard at night! Food Stalls are nearby and there is a travel agency downstairs where you can book your daily tours in Puerto Princesa and El Nido! Good Choice for an accommodation.! Don't expect too much from the hotel when it looks to apperance, but you'll enjoy your stay here I promise! Value for money is excellent for a budget hotel with friendly staff. staff was very professional and friendly. best thing about my experience. room/property is adequate for one night stay but wouldn't recommend for much more. wifi is pretty poor and breakfast average (real coffee would be a major improvement). bathroom clean but needs a shelf/cabinet for toiletries. not much nearby for dining. My wife usually recommends the place, and the staff is usually nice. Do not add an additional person to your room for the night unless you are willing to pay extra. room was clean and staff also very friendly.only bad thing was,that my room located streetside,so tricycles and car causes noise.But this is problem all of hotels in this price categotia,because singleglasses in windows or balconydoors. The hotel employees are nice. Airport transfer is free so better contact them before your arrival in Puerto Princesa airport. Good location because it is very near the places that you would like to go to at day and night. Breakfast is promptly served and you can choose between coffee and tea but they always serve meat so for those who do not eat meat, you can buy from the store outside the hotel. The rooms are small and only tissue and small soap are given for the whole stay. They do not clean rooms regularly so the guest should ask the receptionist for cleaning the room. It was in the middle of nowhere really but perfectly clean. Breakfast was basic but at least something. We turned up very late and were going to book direct but the price was almost double what agoda stated so ended up booking on here. Quite a small hotel but basic if you just need somewhere to crash. Price is reasonable with room side and location. Hotel also provide a day-tour for Underground river and Island Hopping at Honda bay, If you like. However, i contact by our own for tour. the hotel is near the public market. when i needed a massage, the staff called a masseuse. i hour pesos. it was good and the room was very clean ,warm water in bathroom, the air conditioner also good. aha. and they will give a ride go to the airport free of charge free breakfast also not bad ~! wonderful and we had a lot of fun and experiences. we're thankful too to the owner of the pension house that we were serviced to the airport instead of waiting for our friend tricycle driver. the room looks new, nice and properly maintained. its actually very good for a pension house. aircon is working properly, there's a hot shower, cable flat tv, intercom and wifi. the wifi connection though is not good especially in the morning.it get disconnected every 5 minutes but at night the connection is good.the breakfast provided by the pension house is okey but you cannot choose. there's only one menu per day.the staff are friendly though and always smiling but they do not change the towels and clean the room everyday unless you ask.this is maybe because it's only a pension house and not a hotel. only 1 roll of tissue and 1 small soap were provided for the duration of our stay, but you can buy those at the sari-sari store infront of the pension house.on the plus side, the baywalk is just a 3-minute walk and so is the public market. other attractions are also walking distance, so there's no need to take a tricycle. It is located just a block from the market. Hotel is new and clean. Price is OK.